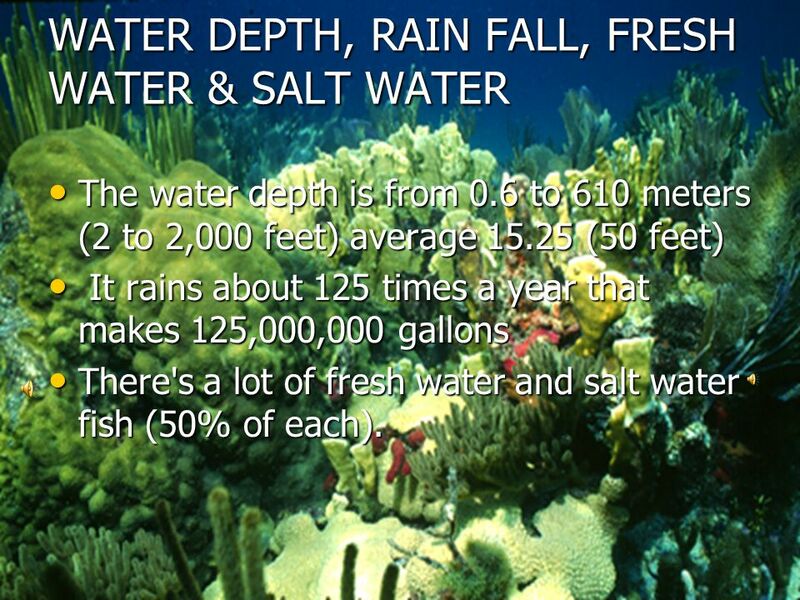 The water depth is from 0.6 to 610 meters (2 to 2,000 feet) average (50 feet) It rains about 125 times a year that makes 125,000,000 gallons There's a lot of fresh water and salt water fish (50% of each). 4 TEMPATURE & SUNLIGHT Temperature up to 105 degrees. The hottest day is 110 degrees. The sunlight is very important for the tropical flowers and plants. Some people don’t know that with out sunlight the coral couldn’t grow, and if the coral couldn’t grow the smaller fish couldn’t eat then, the big fish would go hungry then the food web would be out of it’s place. 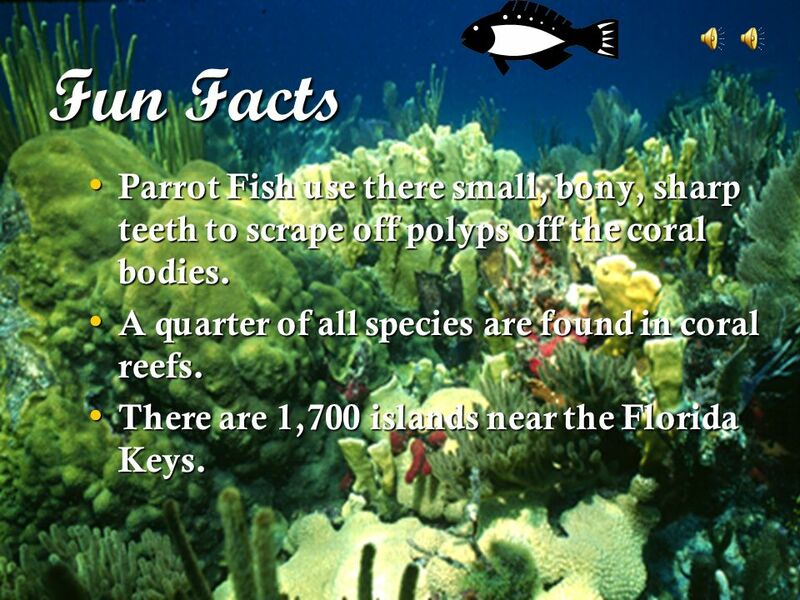 6 Fun Facts Parrot Fish use there small, bony, sharp teeth to scrape off polyps off the coral bodies. 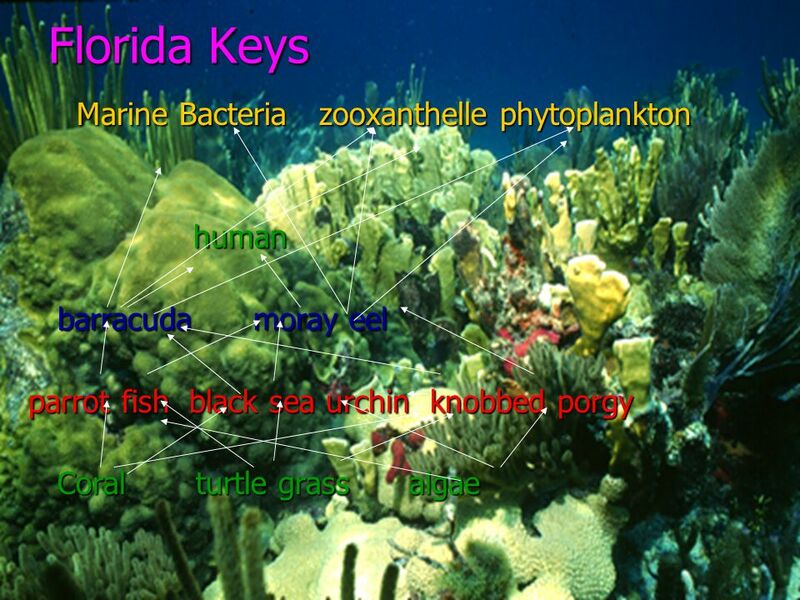 A quarter of all species are found in coral reefs. 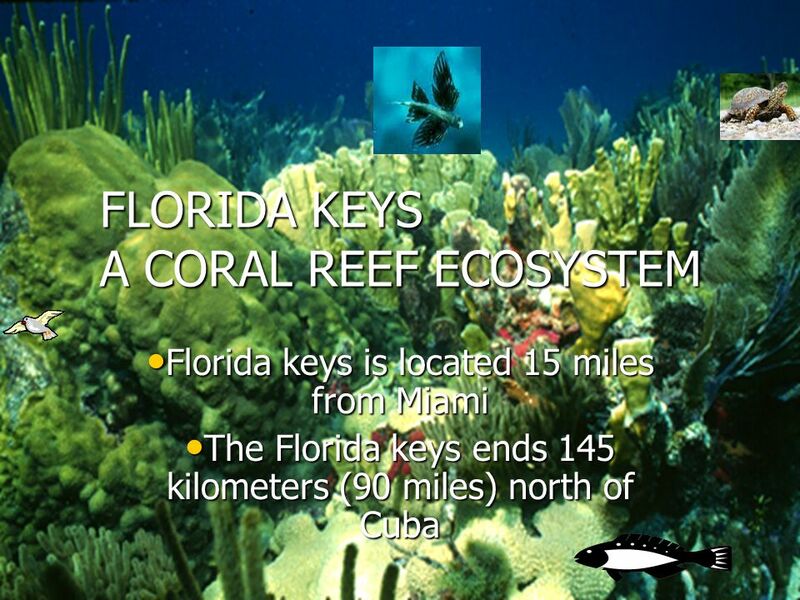 There are 1,700 islands near the Florida Keys. 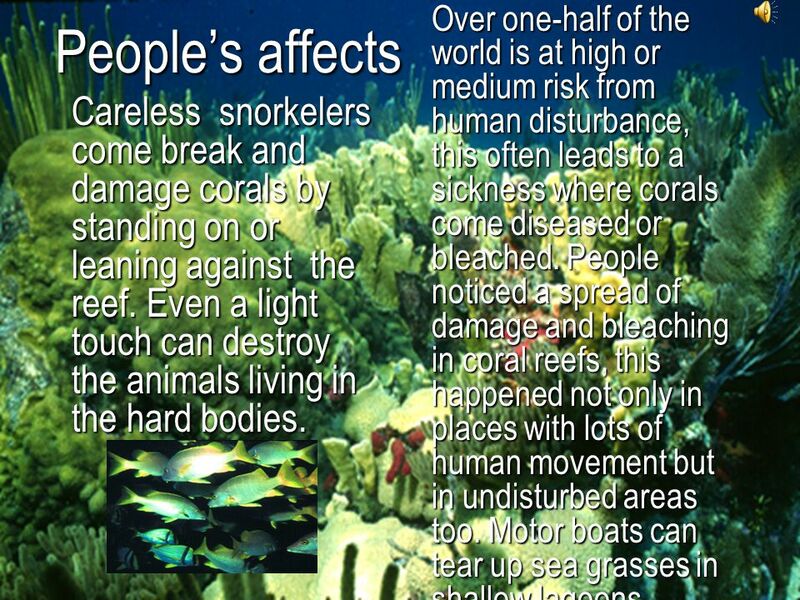 9 People’s affects Over one-half of the world is at high or medium risk from human disturbance, this often leads to a sickness where corals come diseased or bleached. People noticed a spread of damage and bleaching in coral reefs, this happened not only in places with lots of human movement but in undisturbed areas too. Motor boats can tear up sea grasses in shallow lagoons. 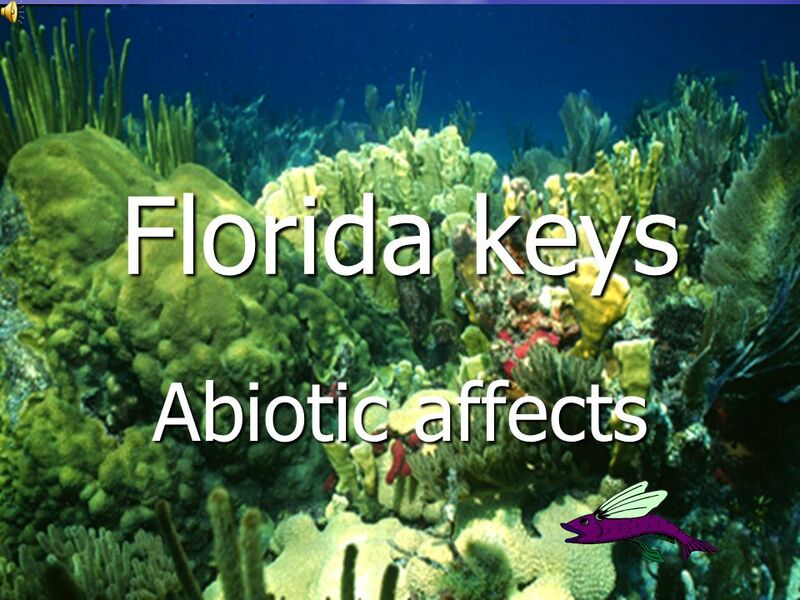 Careless snorkelers come break and damage corals by standing on or leaning against the reef. Even a light touch can destroy the animals living in the hard bodies. 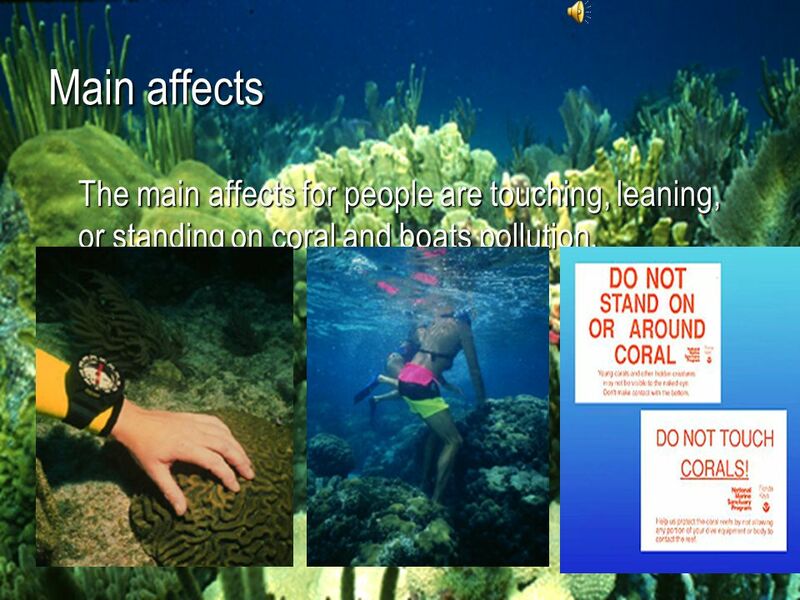 10 Main affects The main affects for people are touching, leaning, or standing on coral and boats pollution. 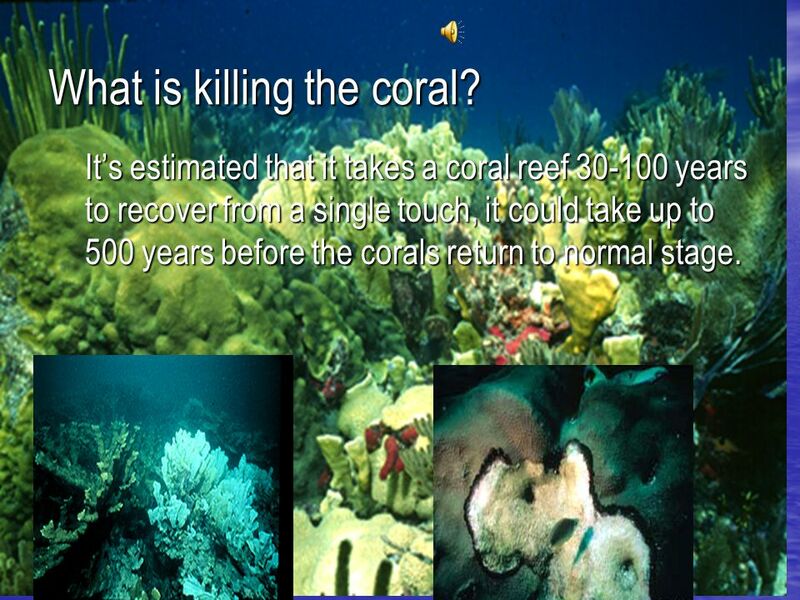 11 What is killing the coral? It’s estimated that it takes a coral reef years to recover from a single touch, it could take up to 500 years before the corals return to normal stage. 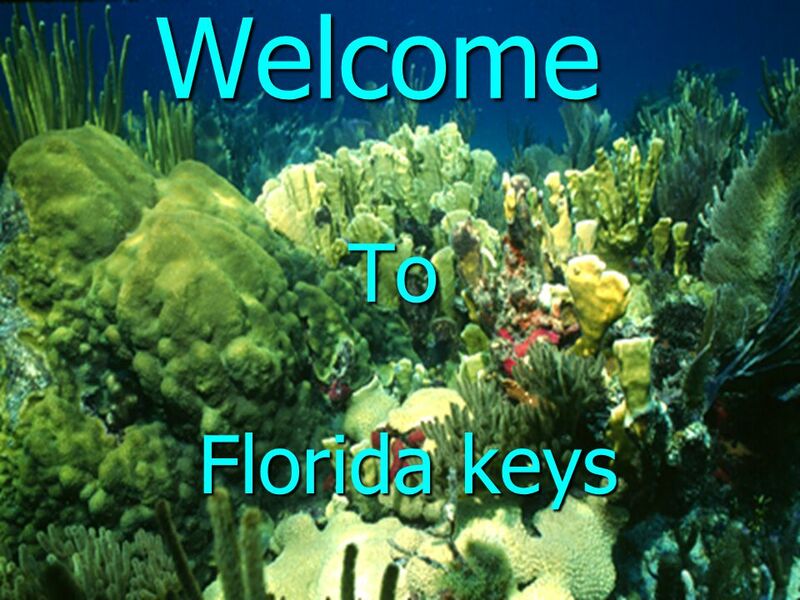 Download ppt "Welcome To Florida keys." Tiger Sharks By Reade Plunkett. Introduction Coral Reefs are made of limestone structures of dead and living stony coral Coral polyps are formed by red and green coralline algae Coral. 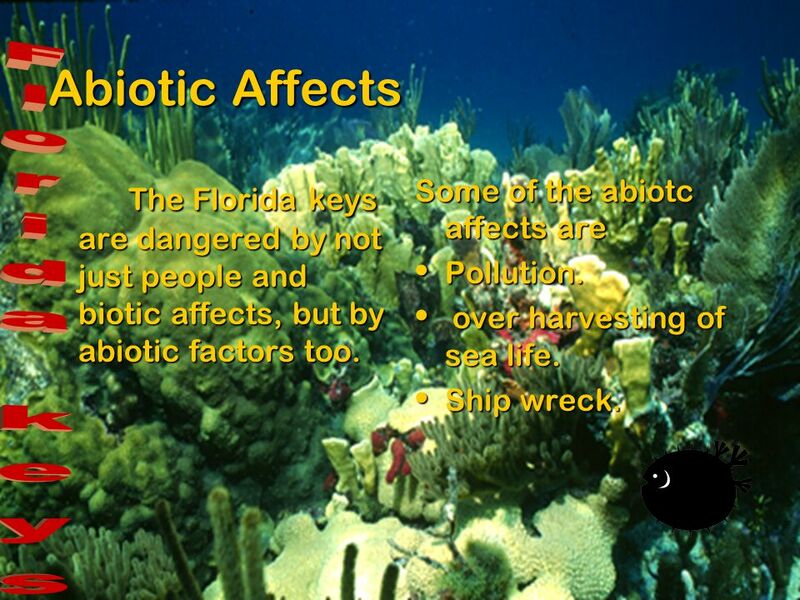 Marine Biome 2 nd block Honors Biology By: Madison AutumnBreanna. BIOME PROJECT ASSESSMENT BY GEORGE, RYAN, AND BRYAN. 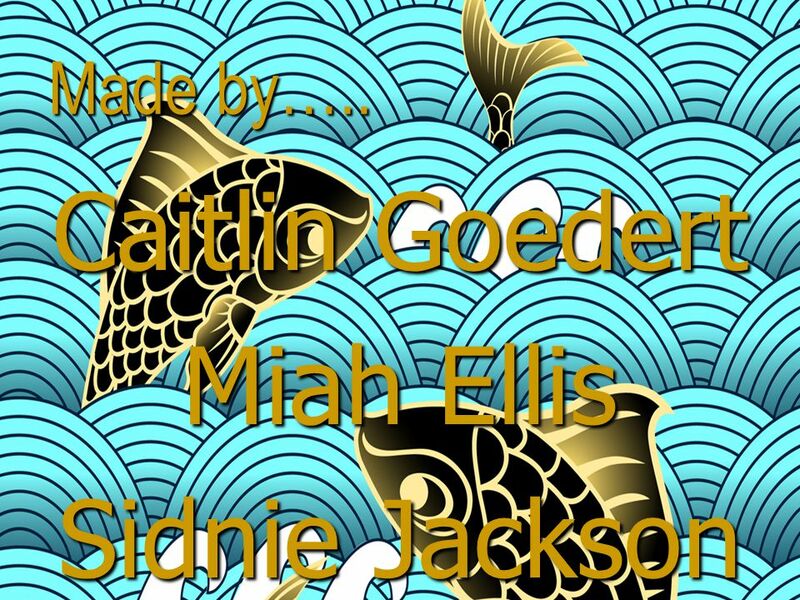 The Great Barrier Reef By: Isaac Colliver And Dustyn Stevens. Coral Reefs. 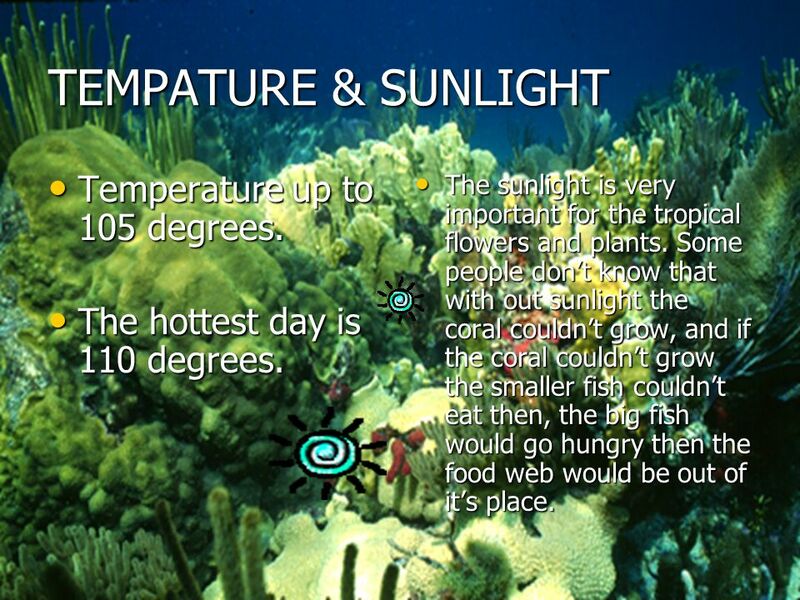 Facts about Coral Reefs Largest living thing on Earth Covers less than 1% of the Earth’s Surface Needs sunlight to grow. Coral Reef Formation By Kurose. EPIPELAGIC ZONE Trooper, Vincent, Vanity. FACTS  This zone is 0 meters to 200 meters deep! ( about 600 feet!)  Holds 90% of marine life  Sunlight. Coastal Wetlands Land areas covered by salt water at least part of the year are called coastal wetlands Provide habitat and nesting for fish and wildlife. Coral Reefs By Seeley Phillips. Coral Reef Biome By Hamad Al Thani 6B 10/01/2013..
By: Miss Merz. What is a Manatee? A manatee is a mammal.